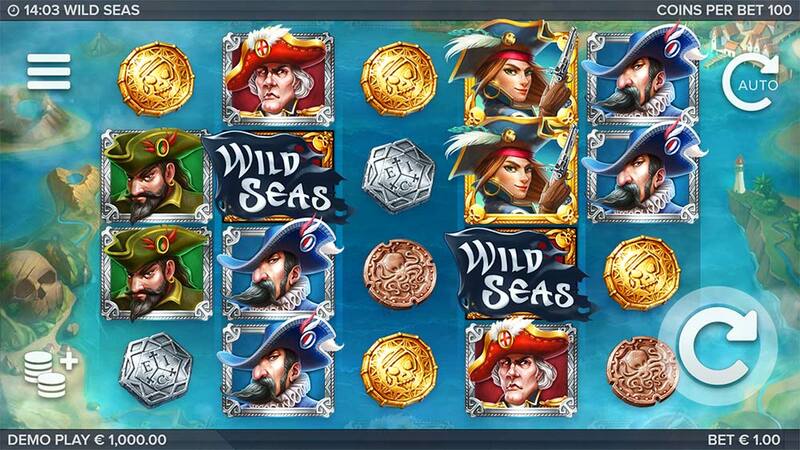 Get ready to set sail an do battle on the oceans in the new pirate-themed Wild Seas Slot from ELK Studios which is now live and playable at VideoSlots Casino. 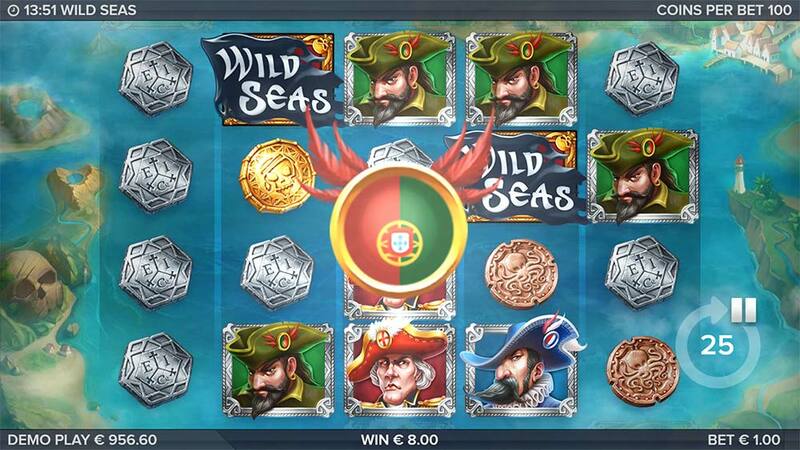 Wild Seas is the latest mobile-friendly slot release from ELK Studios which uses there unusual 5×4 reel layout and 178 active paylines and comes with some rather interesting level based bonus rounds. In this game, you take on the role of the pirate Anne Bonny, who is seeking revenge along with every pirate’s desire for collecting wealth and treasures, sink ships, loot the treasures and uncover captain’s loot chest in the bonus rounds. 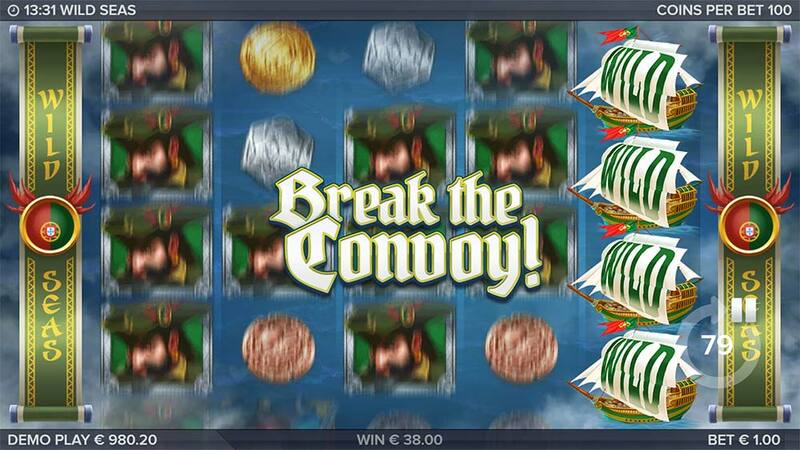 The main focus of this slot is triggering the start of the main bonus round Break the Convoy! with 2 of the special Wild Seas Scatter symbols landing in view on reels 2 and 4. Wild Ships then move across the screen and you do battle with them during each spin, if you manage to sink any of the ships with 3 hits you then move onto the 2nd bonus level Loot the Treasures! where sticky wild symbols and bigger rewards come into play. 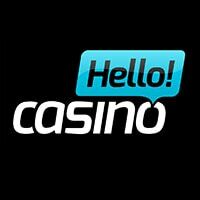 The main bonus features on Wild Seas slot are the “2 stage” free spins bonus rounds which are initially triggered by landing 2 of the Wild Seas Scatters in the base game. 1 of the 3 captain symbols is randomly chosen once the bonus is triggered, with all captain symbols transforming into this captain and a fleet of Wild Ships appears on the 5th reel. 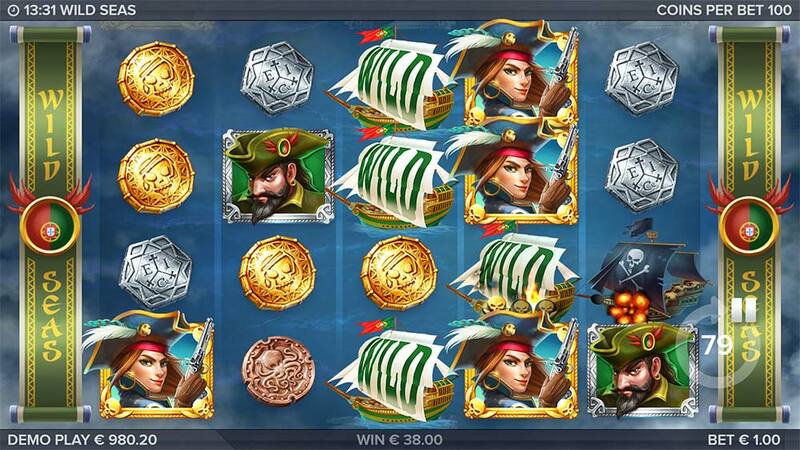 During each free spin, the fleet of wilds moves to the left across the reels, the pirate ship on the 5th reel will attack these ships, scoring a hit will slow this ship down for 1 spin. If you manage to break the convoy and destroy 1 ship with 3 hits during the bonus round you are then transported to the stage 2 bonus round. 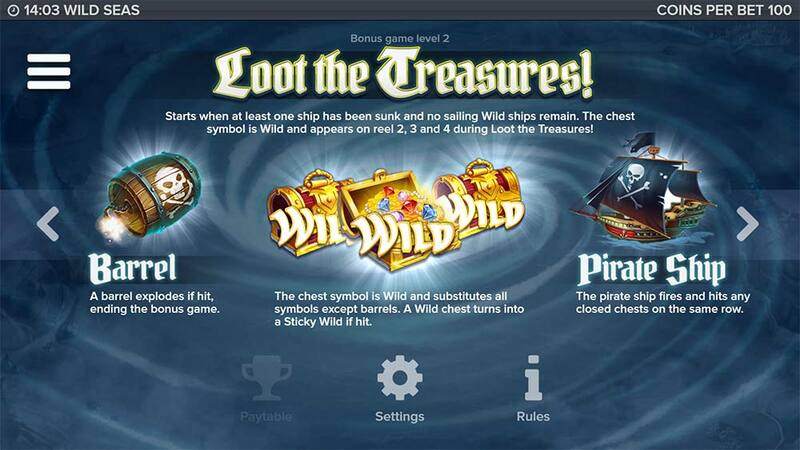 During stage 2 new Wild Treasure Chest symbols will appear on the middle reels, if the pirate ship manages to hit any of these during the bonus they are transformed into sticky wilds. This bonus round ends when you hit any of the Explosive Barrel symbols on the reels. 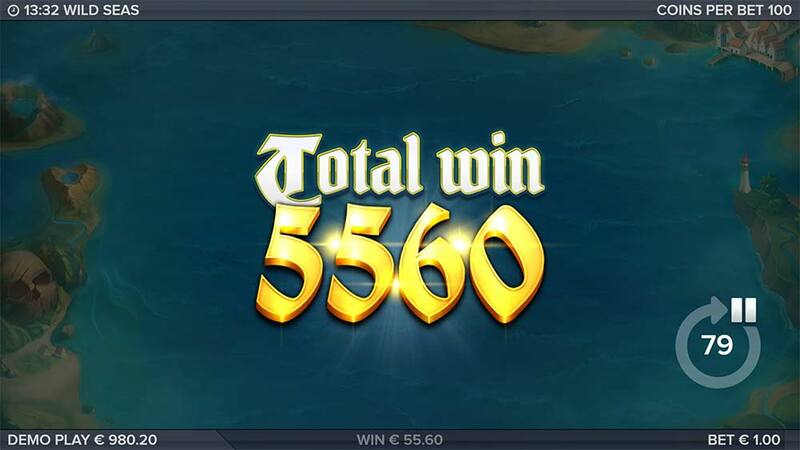 We found the Wild Seas slot to be a very enjoyable slot to play, the action is quite simple and quick with frequent bonus round triggers along with the excitement of being able to unlock the 2nd stage if you manage to sink any ships during the first free spins level. Whilst this certainly isn’t the most volatile slot from ELK ( in our playtests we managed bonus rounds in the range of 10x up 75x), the gameplay is certainly good enough to warrant having a look and the stage 2 bonus round certainly offers some very decent win potential with sticky wilds. Another decent slot release from ELK that you should check out.